If you have any questions about ordering, please call us at 717-248-0526 or email us at help@hartleyspotatochips.com. For general sales questions email sales@hartleyspotatochips.com. To begin shopping, click ‘Shop’ above or select your favorite products from the category menu to see what is available. 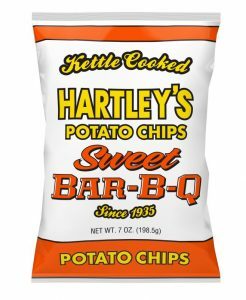 © 2019 Hartley's Potato Chips - All Rights Reserved. Site by: nfollmer.com.